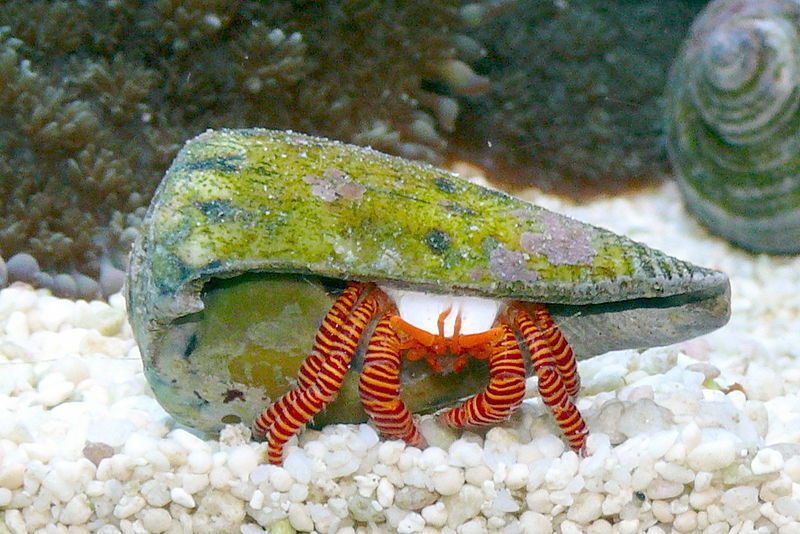 Halloween Hermit crabs make an attractive and festive addition to the reef tank. They will also clean hair algae, and scavenge. They are somewhat larger than most hermits, and as such may be a little more territorial in behavior. They should be given medium to large hermit shells to move into. These hermits are imported from Indonesia.